Besides being a major higher education hub, Spain is famous for its high quality of life, beautiful landscapes, stunning beaches, appealing Mediterranean climate and vibrant nightlife. As a student of the International Master in Marketing programme at EADA, I chose to study in the heart of the beautiful city of Barcelona. From my first day in Spain, I instantly felt at home. I felt welcomed in a country with many expats and tourists. As a student from Lebanon –where people love to socialise outdoors and treat newcomers hospitably– I was impressed with the similarities between Spaniards and my people. 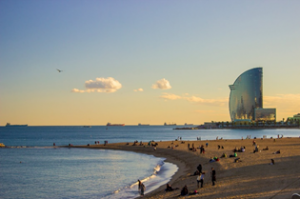 People in Spain are receptive, warm and kind, and enjoy an easy-going lifestyle. Whether interacting with Spaniards at EADA, in restaurants or on the streets of my neighbourhood, people were always friendly and willing to help. The Spanish language was never a barrier, as people tried their best to help me in any situation. Spanish is also not very difficult to learn – through the beginner-level classes at EADA or through locals that help you practice. Barcelona is a very compact city, offering the opportunity to enjoy the whole city by foot or by bike. The excellent public transport network also means that it is cheap and fast to get everywhere. The city beaches are stunning and can be visited all year – even in the winter, you can study at the beach, since the sun is always shining. Spain’s weather differs from that of many European countries, as it has a Mediterranean climate with a short winter. And don’t forget that living in Barcelona means enjoying amazing Spanish dishes, from tiny tapas to the huge assortment of paellas. Besides the great food, Barcelona is a city with unique sightseeing opportunities, many of which are centrally located near the school. I appreciated passing by these landmarks –such as the Sagrada Familia and Casa Batlló– everyday on my way to EADA. I also enjoyed walking around the old streets of the Barri Gotic, El Born and El Raval. These neighbourhoods are filled with boutique shops, and at night the streets fill with people going out to restaurants and live music shows. The cost of living in Barcelona is lower than in other major European cities. Barcelona is a cosmopolitan city where people congregate to live, work and travel together. 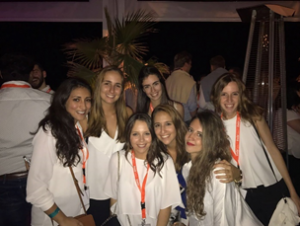 This year alone, EADA has brought together students from more than 50 nationalities, and Barcelona is filled with expats working in international companies or startups as well as business travellers for congresses. It has been so amazing to connect with different nationalities and cultures; for me, learning from people from around the world is another type of “university”. Katia holds a Bachelor degree in Marketing & Advertising from the American University of Science & Technology in Lebanon. She has worked in sales and marketing but also travelled around the world as part of the cabin crew for Emirates Airlines before coming to EADA to pursue the International Master in Marketing.